On Thursday, the FCC – Federal Communications Commission voted to repeal the old net neutrality rules. 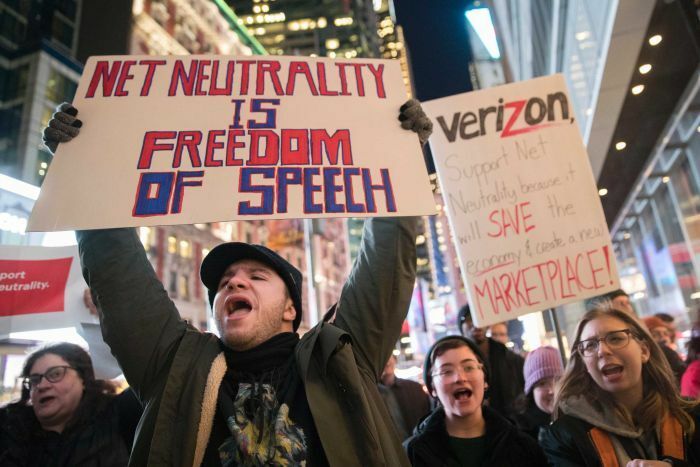 Now for those of us who don’t know, Net Neutrality requires internet service providers to offer equal access to all web content without charging consumers for higher-quality delivery or giving preference to certain websites. Basically, equality for all things on the internet. The FCC’s chairman Ajit Pai has always been a big opposer of the rules, as he has been recorded saying that the Net Neutrality rules impede innovation. According to him, they are based on “hypothetical harms and hysterical prophecies of doom.” Quite a statement. Service providers could not slow the transmission of data based on the nature of the content, as long as it is legal. Service providers could not create an internet fast lane for companies and consumers who pay premiums, and a slow lane for those who don’t. So now that you know what the rules that were repealed are, let’s talk about how it all might affect you. You know how some cable television providers sell cable televisions in bundles? The same might happen with the internet. Which means, if you want to access Facebook and Instagram, you might need to purchase a bundle that would allow you to access these. Say, a “Premium Social Media” package. Think about this, some consumers may suffer because of pay-to-play deals. As mentioned, you might now have to pay extra to be in a fast lane or fear left alone on the slow lane. This is harmful for small business owners and freelancers as well whose businesses rely on social networks. While some people say that the biggest internet companies like Amazon, Apple, Facebook, Google and Microsoft control much of the online infrastructure anyways, this repealing of the rules may very well bring about a change as to how we use the internet everyday. Are you in favour of Net Neutrality? Or do you agree with the repealing? Let your thoughts be known in the comments.